Leather is a long lasting and flexible material formed by the tanning of animal rawhide and skin, often cattle hide. It can be formed through manufacturing processes ranging from cottage industry to heavy industry. Leather wristbands are bands made of leather to wear over the wrists. Leather wristbands may be designed to be worn as a fashion statement or could be representative of a charity or specific cause. Leather wristbands come in many colors. The majority of them are either black or brown leathers, but some are dyed brighter colors like blue or red. Leather wristbands made for males are typically at least two inches wide while those made for females are typically narrower. 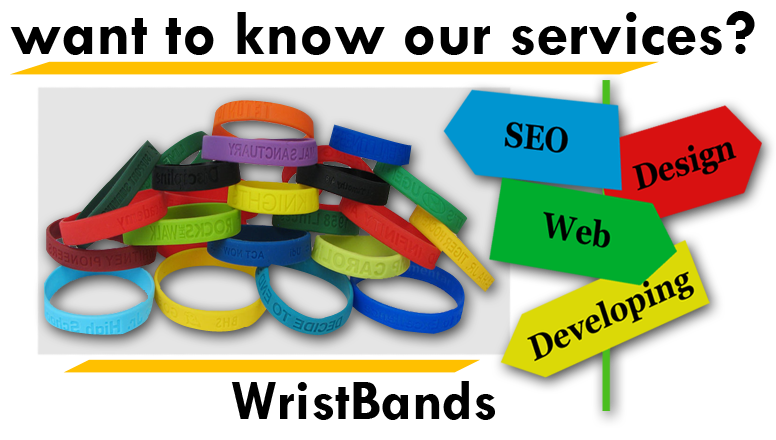 Leather wristbands can be simple, just a band of solid colored leather that fits round a person's wrist. These are well-liked with people who dress in the stereotypical "Punk" or "Heavy Metal" style. 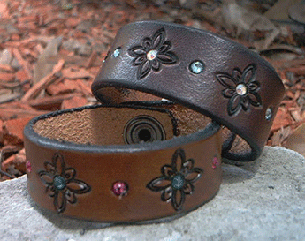 Other leather wristbands are festooned to look like those worn by traditional Native Americans. These wristbands are frequently made of many pieces of leather braided together and can have images imprinted on them.